OAKMONT, PA (April 5, 2017) – Situated on the shore of Lake Erie in Sandusky, OH, The Harbour has seen its share of extreme weather. 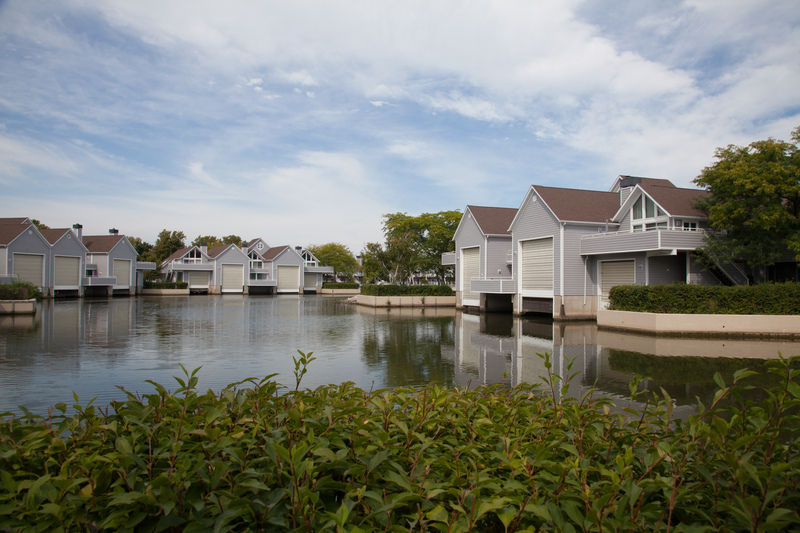 Most notably in 2008 and again in 2010, the 188-unit luxury community experienced severe hailstorms that damaged the cedar siding on many of its buildings. Left with unrepairable and highly noticeable damage, the HOA sought a replacement for the exteriors that could be installed efficiently and withstand anything Mother Nature may have in mind. They found Everlast® Advanced Composite Siding, the only product that could match the refined look and color of the original cedar, while remaining impervious to all kinds of severe weather – from harsh sunlight and heat to wind, subzero temperatures, and even hail. 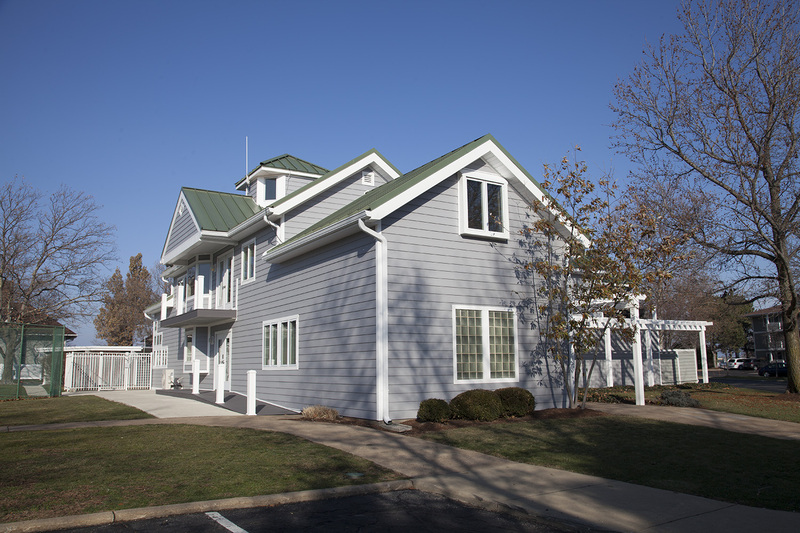 The HOA specified Everlast® siding panels in Seaside Gray for a section of boathouses and the main clubhouse. Each panel reveals 6 7/8” wide siding when installed on the building. The design of the panels is what allows Everlast® to provide this superior strength, durability and ease of installation without sacrificing performance or attractive curb appeal. Everlast® is produced from a proprietary formulation of inorganic minerals, polymeric resins, and acrylic colorants. 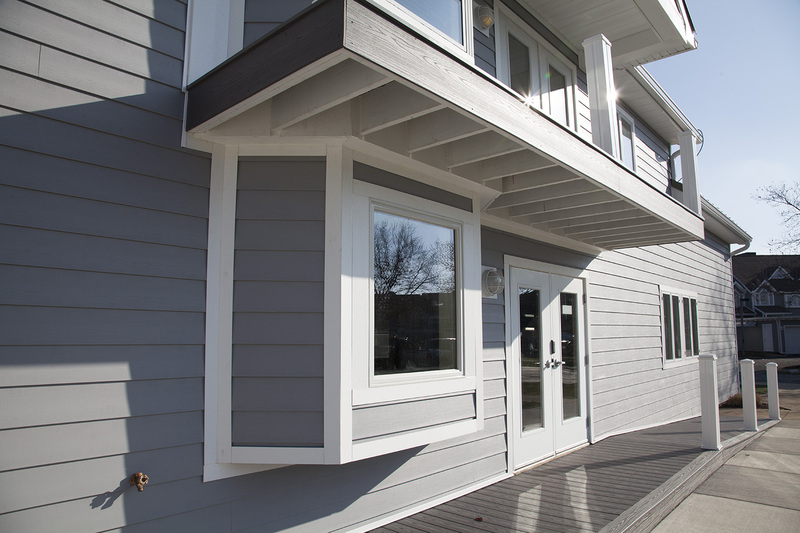 Unlike other siding products on the market, the color is inherent in its composition – not painted on – which means that the siding will never need to be re-painted, and will remain beautiful for the lifetime of the building. 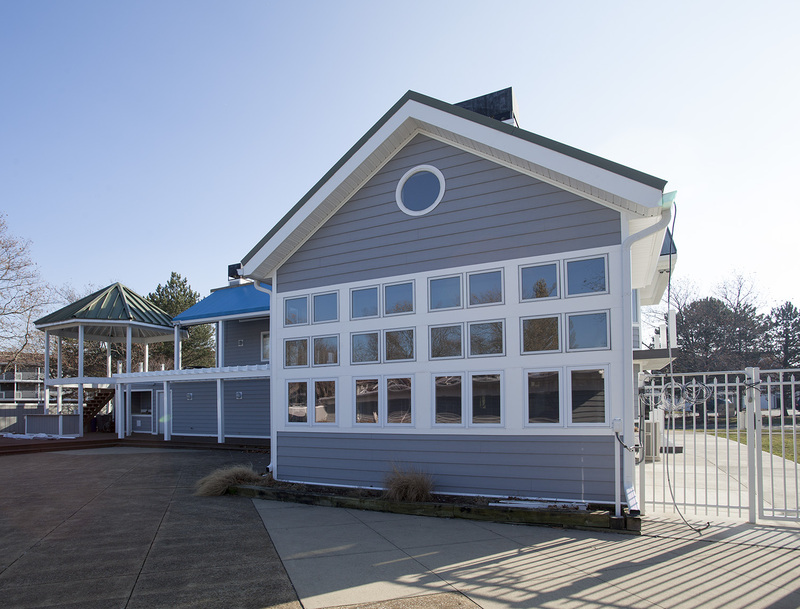 The system includes color-matched trim that is made from the same material as the siding, but is compatible with many other trim accessories on the market. 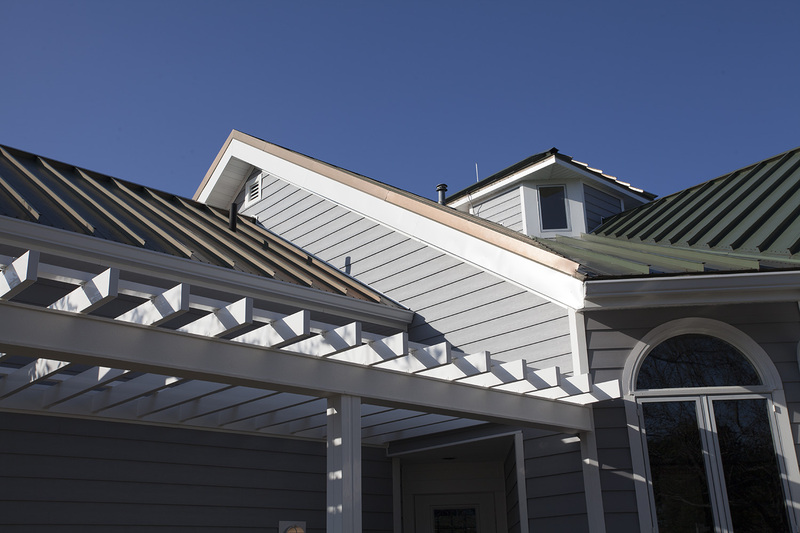 Also, unlike other solid siding products, Everlast® is lightweight, easy to cut, and stackable for easy installation, yet strong and secure enough to withstand any environment. At the start of the project, contractors removing the original cedar siding discovered that the walls on most of the buildings were compromised because of the cedar’s frailty and resulting inability to stay weather tight. After removing the failed cedar siding, walls were re-sheathed where required and then protected with house wrap. Tim’s Mid Ohio Improvements was able to easily and efficiently install the Everlast® panels. Solid construction means the planks don’t bend or bow, and align perfectly against the outer walls of the building. “In comparison to vinyl, Everlast® is a lot thicker, a lot more heavy duty. It’s just a much stronger product than vinyl, aluminum, or any other product that’s out there right now,” adds Thompson. The final result is first-class looks and performance in an environment that demands strong and versatile exterior solutions. With the new Everlast® siding, The Harbour will remain well protected and well represented for generations to come. For more information about Everlast®, visit: www.everlastsiding.com.